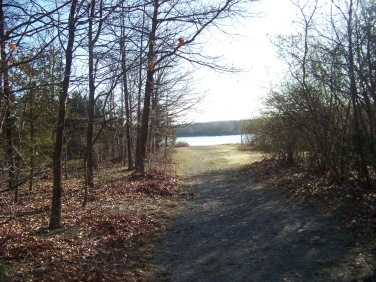 Great Esker Park in Weymouth has an abundance of hiking trails suited to a wide range of hikers of varying fitness levels. 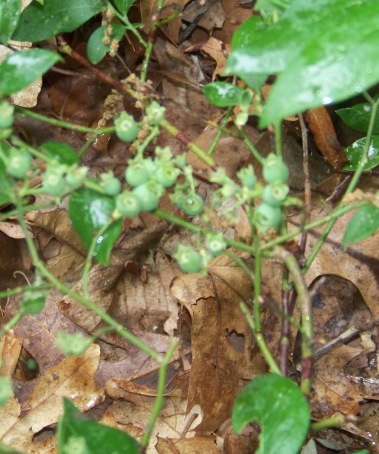 What helps to achieve this variety is the very esker that the park lies on. 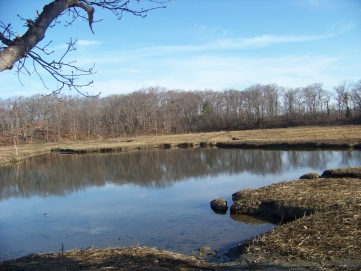 The esker of the park runs alongside the Weymouth Back River and through an area that contain wetlands on the interior and salt marshes beside the river. birds and creates a wildlife corridor. The word esker is derived from an irish gaelic word meaning ridge. 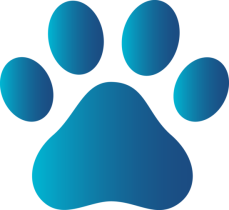 Eskers are formed by glaciers from thousands of years ago. Once the glacier stopped moving it melted. The melt water would drain through fractures in the glacier. Ice tunnels formed at the base of the glacier where the water would continue to flow. Once the glacier melted, this ridge remained. 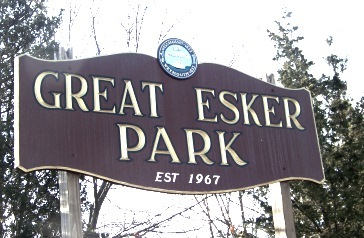 Great Esker Park is a wonderful example of this phenomenon. Many times eskers are quarried for their sand and gravel. 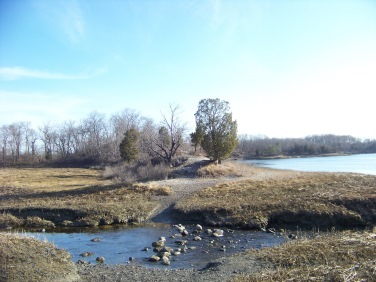 This esker has been left untouched and is said to be the highest in North America standing at 90 feet. runs through the length of the park. Hiking though, is not the only activity that draws visitors to it's almost 138 acres. 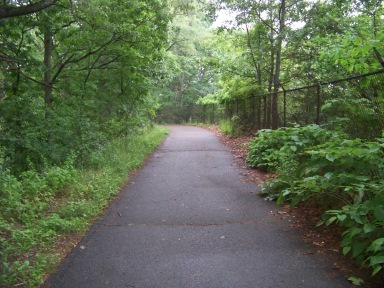 The paved road along with other trails along the marshes make some good bicycle riding. There are a couple of areas to put a canoe or kayak into the river. Recently I saw several larger powered boats come up the river. 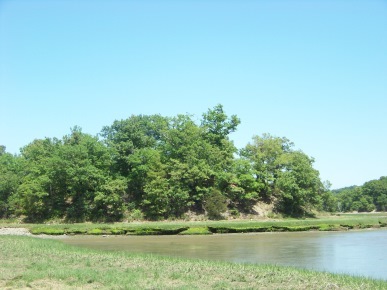 The far end of Great Esker Park is a favored fishing spot. 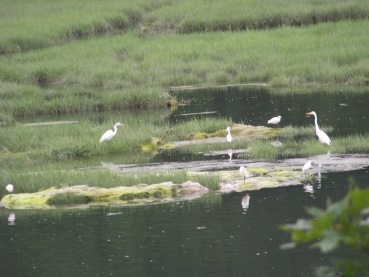 types of heron can easily be found here. 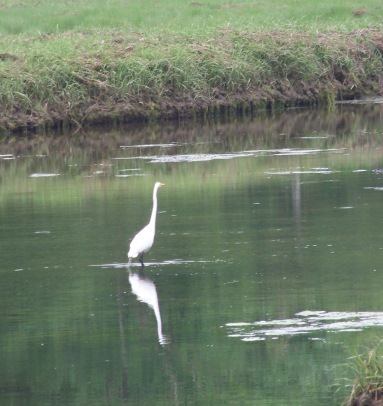 The park has a nature center that conducts educational tours through the esker and along the marshes. Really , great esker park is a large outdoor classroom!! Another interesting feature are the reversing falls. reversing falls or rapids occur when the incoming tide causes the flow of a river or stream to reverse. The most famous reversing falls are on the St. John River in Canada on the Bay of Fundy. These actually cause problems for even large vessels navigating that river! 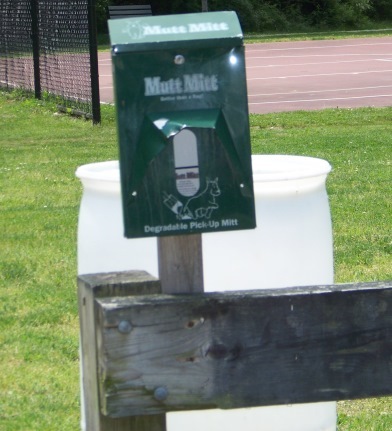 Thankfully these at Great Esker Park are on a much smaller scale! 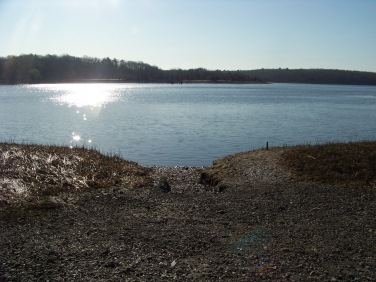 The northern point of this park sits just off route 3A at one of the park's three entrances. 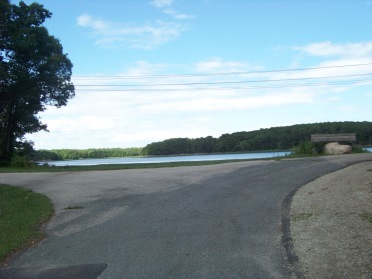 This is a good starting place for those who wish to use the main road to traverse the full length of the property. One caution: you will still get a good workout.!! Though the road way is the main hiking trail and even stepping, there are a couple of almost formidable hills to tackle on this route! If you are looking for light walking experience, the main entrance at Elva rd. will be more suitable. 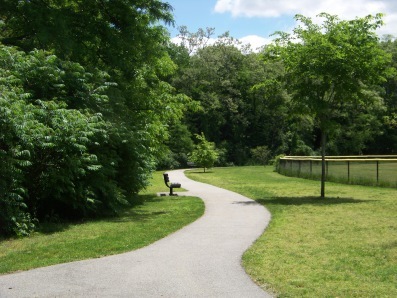 There one will find plenty of parking, picnic tables, basketball courts, a playground and baseball field complete with a paved walking trail around it all, with benches. 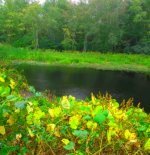 a good place to put a canoe or kayak in. Actually it will take several hours or days to experience this park in it's full, but the full length of the main roadway is long and pretty encompassing. Park at the entrance on route 3A. Pass through the gate and follow the roadway. The first 1/2 mile is straight and easy. At the 1/2 mile mark a wide grassy way will lead to the left. 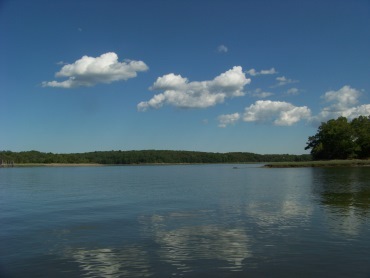 Here one could roll a canoe or kayak down to put in the water. Hiking and taking this short route to the water is well worth the effort. sit at on a breezy summer day! Just pass this access trail the main roadway will start a fairly steep uphill climb. At .66 the hill crests and shortly after the steps down to the Elva rd. entrance will be on the right and the trail head to the reversing falls trail on the left. There will be some hills reminiscent of a roller coaster, then a guard rail will appear on the right and the roadway will curve to the left. At this point you will find yourself above the roof level of most houses bordering the park. with a fencing along one side. At 1.41 miles intersection with a wide trail to the left. This will bring you downhill and into the lower marsh area. Soon after this intersection the main hiking trail will start a fairly steep decline. 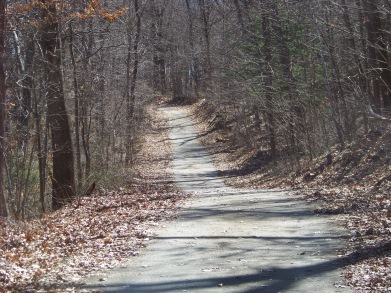 During this decline a narrow trail to the left leads off. At 1.56 the bottom of the hill and Puritan Rd entrance is on the right. Several benches rest here ready to give assistance. At 1.66 the bridge over one of the many inlets is on the left. Continuing straight, at just about 2 miles the road bends fairly deep to the left. 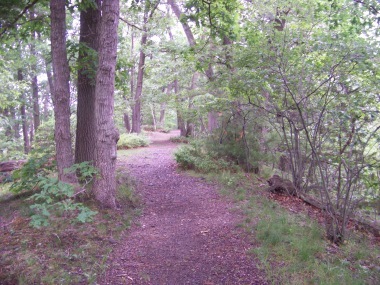 A grassy trail leads to the right, off the property of Great Esker Park, though there is a grassy circuit trail here. 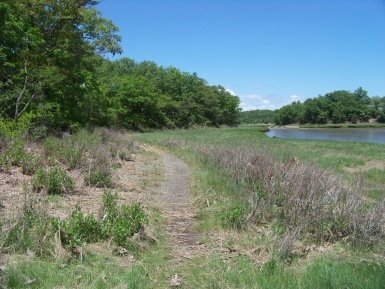 On the main hiking trail views of lower Back River and start of Fresh River come into sight on the right. 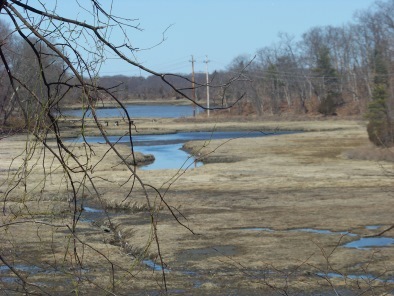 The pavement ends at 2.25 miles and runs over gravel to a spot that many regularly fish at. 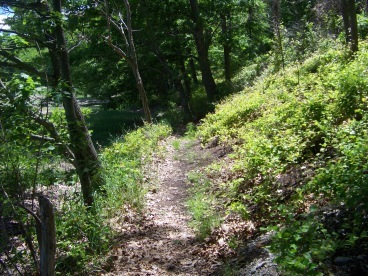 The hiking trail then runs around a hill on the left and follows a marsh trail around this hill. 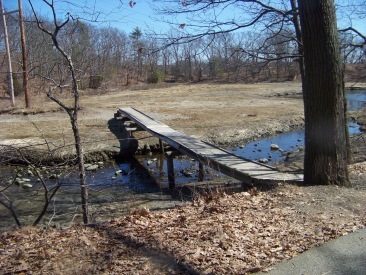 Soon it leads out to the bridge over the inlet at 2 1/2 miles. to the route 3A entrance and over those two hills again. 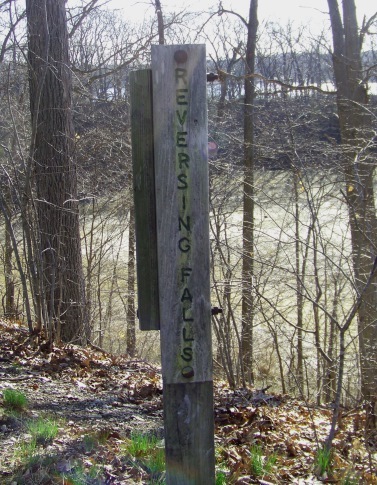 At just over 4 miles, this is a pretty lengthy hiking trail. From the Puritan Rd. entrance the last portion of the above hike can be done. This is the shorter easier hike without the hills. Follow the main roadway and going to the right. Follow to the end where the pavement stops, the way then becomes fine gravel sand mix, and can be followed around a moderate sized hill. Finally running along the marsh to a bridge over an inlet stream that comes off the Back River. This crosses over and back to the roadway again. This route is just over one mile, easy and pleasant. At the end just before crossing the bridge, a few trails up the hill are on the left if you want to add a bit more challenge to your hiking experience. 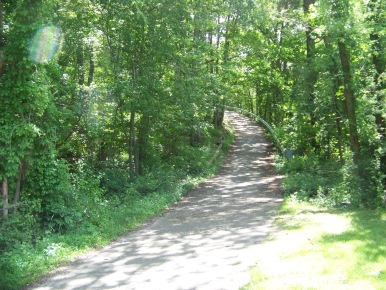 From the Elva st entrance, follow either the paved sloping trail up or the granite steps up to the paved main roadway. Straight across from the steps is the beginning of the reversing falls trail. Honestly this one confused me in the beginning. Wasn't sure what a reversing fall looked like and thought it had to do with a marsh area the trail goes through. This trail is not marked, so at trail intersections one is left to guessing. There is evidence that there was a sign marking the way at one of the intersections, but time or vandalism took it down. 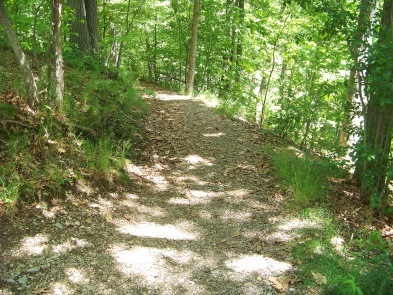 The trail starts with a moderate descent and passes through a low area that looks like water in early spring may pass through. Shortly thereafter you will come to a trail junction. Keep to the right and a short climb up to another junction. Once more taking another right. A short series of light climbing and descending through pleasant forested areas and then a final descend to the reversing falls area that is more like reversing rapids. 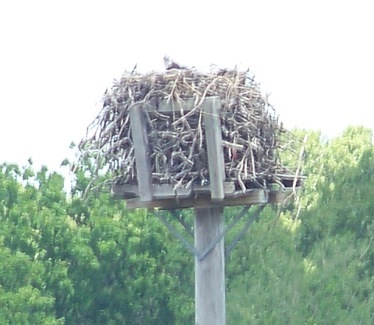 and the osprey nest come into view. on route 3A just after Lowe's. The entrance is next to a direction reverse on the side of plaza with Lowe's. From route 3A (heading south) take a right on Green St. (If heading north, there is no turn allowed left here. Take the left on North St and a left on Shaw St. follow to end taking right on Green St.) On Green St. the road will take a deep right. Elva Rd. is left here (the center road going uphill) entrance at end of street. Following the instructions for the Elva Rd. entrance continue on Green St. till intersection with East St.(intersection after Thompson Rd. railroad bridge will be visible East St may not be marked) Go left on East St. approx. 1/2 mile Unicorn will be on the right, Puritan is 3rd left after unicorn. Follow to the end of road. 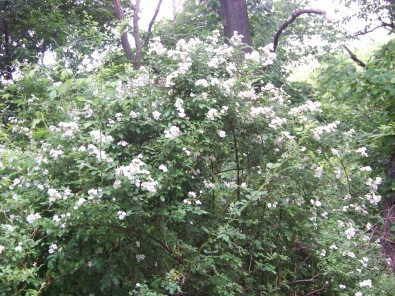 fragrant wild roses....well that's all of Massachusetts in June!